Cesc Fabregas has explained why he joined Chelsea from Barcelona further adding Arsene Wenger didn’t want him to return back at Arsenal. The Spaniard became the first major official signing of Chelsea this summer, when he joined from Barcelona on a five-year-contract last week. The 27-year-old, who signed for Chelsea for £27m, admitted that returning back to Arsenal was his first priority and only when Arsene Wenger refused to sign him, he chose Chelsea as the next best possible option. Wenger told Fabregas that German international Mesut Ozil currently occupies his preferred position and that he would find difficulty in finding a place for both of them at the same time. “When I decided that my time at Barcelona had ended, I looked for the best option for me,” Fabregas said as quoted by The Guardian. “I wanted to go back to the Premier League and I had to think about what my options were then [once Arsenal had said no],” Fabregas continued. 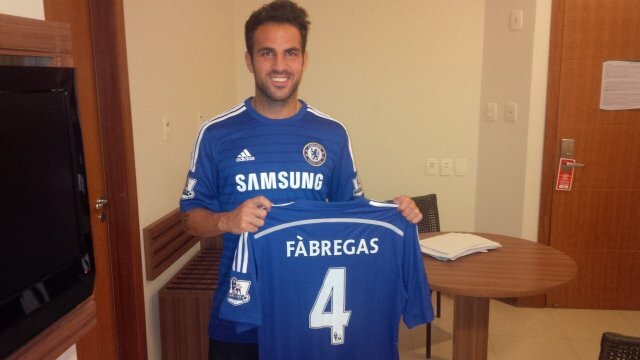 Chelsea manager Jose Mourinho however has heaped high praises on Fabregas, claiming him as a ‘great player’. Furthermore, Mourinho explains that the Spaniard would add a different dimension to the current midfield options at Chelsea. Argentina v Bosnia & Herzegovina Preview: Debutants to spring a surprise in Rio?